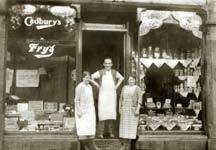 My grandfather, Fielden Wood, had the baker's shop on Halifax Road, Todmorden. 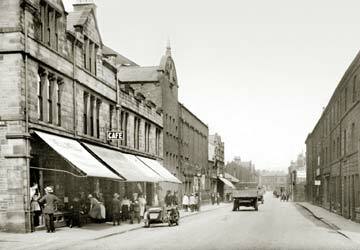 I have lots of boyhood memories of the shop, in particular the time when I was aged about four, and, dressed in a cowboy outfit, was sitting on the steps when a parade came down Halifax Road. It was led by a Hollywood cowboy on a white horse, Tom Mix I think! He stopped when he saw me sitting there all dressed up and, with my grandma's permission, lifted me onto the horse with him and we rode to the bottom of the street. What joy!